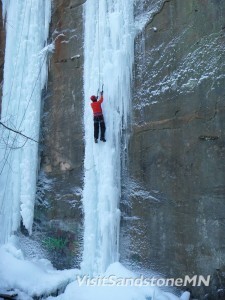 Located in Sandstone, Minnesota, this is winter playground for climbers. 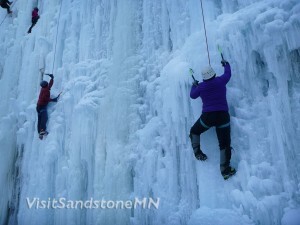 With super easy access and room for over 30 top ropes the Sandstone Ice Park has become a must visit destination for climbers. 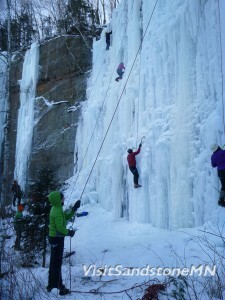 Be ready for steep ice, and most of the ice climbing routes in the Sandstone Ice Park are between 50 and 80 feet in hight. Sandstone, Minnesota is just an hour north of the Minneapolis – St Paul metro, making it super easy for anyone flying in to visit. Already this year we’ve seen climbers visiting from Chicago, Texas, California, and even Florida. 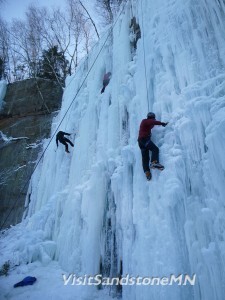 ice climbing mn, minnesota climbing, minnesota ice park, sandstone mn. Bookmark.